Between nonenzymatic antioxidants, there are vitamin E which encompass a group of potent, lipid-soluble, chain-breaking antioxidants. 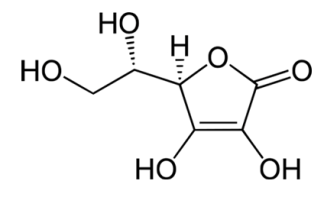 Structural analyses have revealed that molecules having vitamin E antioxidant activity include four tocopherols (α, β, γ, δ) and four tocotrienols (α, β, γ, δ). Vitamin E (α-tocopherol), a chain-breaking antioxidant in the sperm’s cell membrane, neutralizes H2O2 and quenches free radicals, therefore stopping chain reactions that develop lipid peroxides and protecting the membrane from the oxidative damage . Vitamin E improves the activity of other scavenging oxidants and helps to keep motility and morphology of the sperm . It preserves the spermatogenesis in male rats and fails to conserve zygotes in female rats. Selenium deficiency can induce male infertility and could thus support an antioxidant function of vitamin E in the reproductive system. Therefore, vitamin E and selenium can act in synergy in membrane protection from oxidative stress. Vitamin E is known to readily reduce alkyl peroxy radicals of unsaturated lipids, thereby generating hydroperoxides that are reduced by the selenoperoxidases, in particular by phospholipid-hydroperoxide glutathione peroxidase. Vitamin C or L-ascorbic acid, or ascorbate (the anion of ascorbic acid), is an essential nutrient for humans and many animals. Vitamin C is a major chain-breaking antioxidant and is present in the extracellular fluid. It neutralizes hydroxyl, superoxide, and hydrogen peroxide radicals and prevents sperm agglutination . It also helps to recycle vitamin E. It plays a significant role in removing oxidative stress in the seminal plasma. It reacts with OH-, O2-, and H2O2 in the extracellular fluid, thus protecting sperm viability and motility. Carnitine, a water-soluble antioxidant, participates in sperm motility and prevents lipid oxidation; it protects the sperm DNA and membranes from oxidative damage and maintains sperm viability and motility. Carotenoids are a family of pigmented compounds that are synthesized by plants and microorganisms, but not animals. They are present as micro-components in fruits and vegetables and are responsible for their yellow, orange, and red colors. Carotenoids are thought to be responsible for the beneficial properties of fruits and vegetables in preventing diseases including cardiovascular diseases, cancer, and other chronic diseases. Carotenoids (β-carotene and lycopene) are very efficient singlet molecular oxygen quenchers; they prevent peroxidation in the seminal plasma .